When I lived in USA I had a comfort tree that just touched my heart. I met the tree when my dog, Sniffy, and I went camping. I just filled my backpack with essentials, packed a cooler, and my dog and I were off to the Freedom Falls area of Rockland, PA. I needed to get away from everything for a few days. Take a break from so many things that were happening in my life and just…BREATHE. Sniffy and I walked until my back couldn’t take the hike (I have an unhappy back at times), we were far from anything familiar, here we set up camp. Laid out a piece of plastic, put out the sleeping bag, made a fire ring with stones, pulled out the hatchet, collected firewood and that was camp. We were really roughing it. While Sniffy and I were hiking an Oak Tree, perched on a rock came into view. The roots were covering a huge rock like the rock and the tree were almost one. Under the rock the roots came down and made what appeared to me to be a gnome hole. A mystical place where little gnomes and fairies would hide. Climbing onto the rock to check it out, the roots and rock were covered with a soft moss. I laid in that moss, Sniffy and I, and I cried and cried until there were no more tears left. That comfort tree helped to heal my broken soul. It felt like that tree understood and comforted me. I visited the tree often. I even went to see it my last week living in USA just to say goodbye. I don’t have any pictures of the tree. They were lost but I can still see it perfectly in my mind’s eye. A few months ago I met another tree. It is very old and very beautiful. Its gnarled exposed roots are intricately woven on the ground. Its huge branches are reaching out in all directions. Its bright green canopy providing a place of shade and tranquility amidst the hustle and bustle surrounding it. The gnarled roots of my favorite tree on Ave. España and Ave. 27 de Febrero, Santo Domingo Este. When the dogs and I pass it we stop and sit on its exposed roots and relax in its shade. I don’t know what type of tree it is (if anyone can help me with that I would really appreciate it) but I do know that that tree has a big history and it is very majestic. 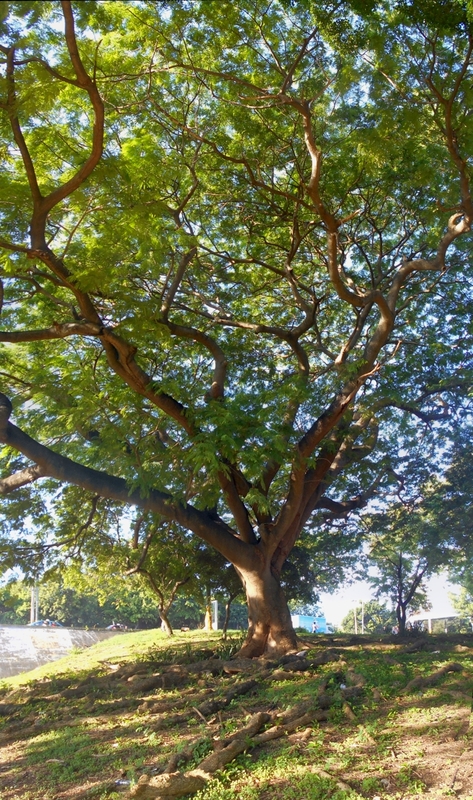 This is a panoramic picture I took of the comfort tree. 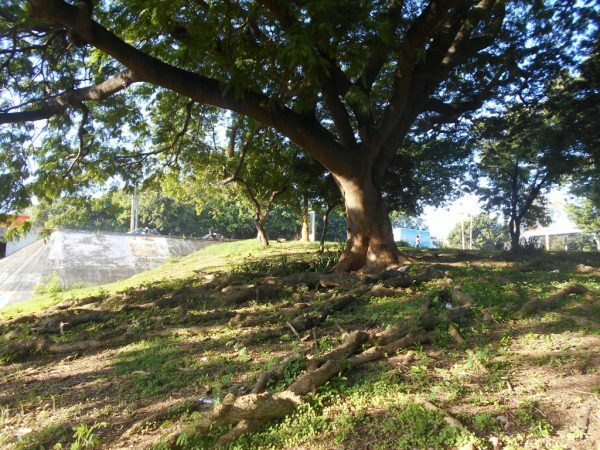 This monster tree is located at the loop of Ave. España and Ave. 27 de Febrero, visible as you cross the Puente Ramón Matías Mella, Santo Domingo Este. 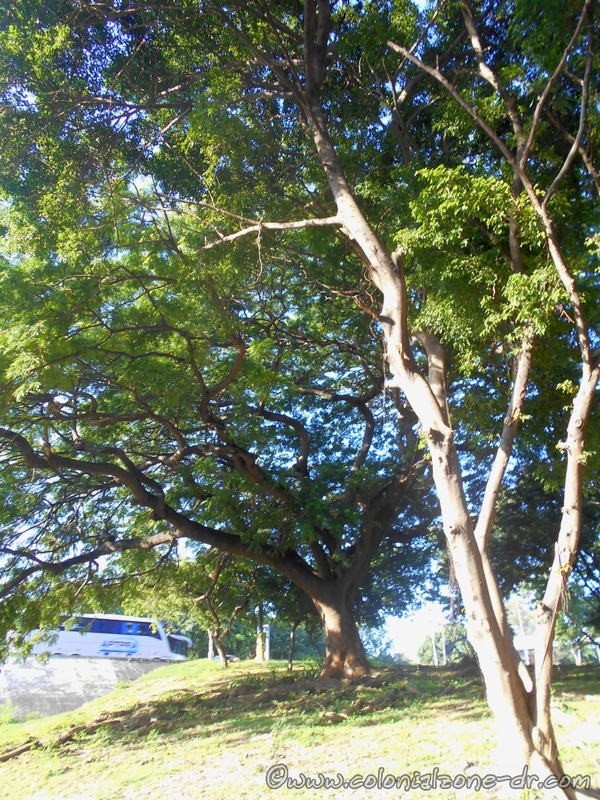 My favorite tree on Ave. España and Ave. 27 de Febrero, Santo Domingo Este. 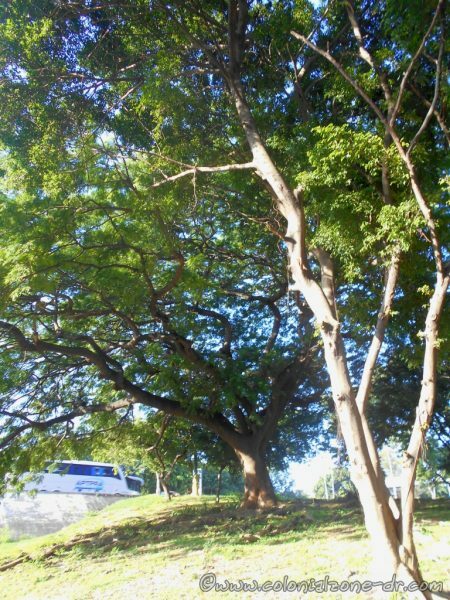 Diary - Long Ago, Just a Story, Pictures ave españa, camping, comfort, favorite trees, freedom falls, santo domingo este, tree, USA. permalink.